Are you ready to head back to school? It’s about that time again, where the youth of the world will return to their respective classrooms and perhaps learn something new. They may have moved up a grade, welcomed their new teacher(s), and are ready to get back into the swing of things. No matter what grade your children will start about this time – or, if you have dropped off your college student at campus – there is a lot to take in. For example, getting to and from school. There is nothing more to do what you can to protect your child. To make sure he/she can get to class and return home in the same shape they left the house. Sounds like common sense, but have you seen what your kids are being subjected to? Maybe I should look back at how I dealt with going to/from school – and inside the halls of the institution. When I got older, I started walking to school. According to Google Maps, it was almost a mile walk from home to Vanalden Elementary School and would take 17 minutes. Did it feel like either? No. For an overweight Jewish kid from my neighborhood, I should have lost weight, became thinner, had stronger legs, played football…baseball…any sport! The walk to school had evolved from elementary school, junior high…and high school. Sequoia Junior High – now called the Sherman Oaks Center for Enriched Studies (it is not in Sherman Oaks, by the way) – was just a block away. I would always see the back of it from the corner. But, I had no ability to hop a very high fence to get into school. I walked around to the side entry, where the busses would let off students coming from other parts of the city. They called this program “Permit With Transport,” which gave students a better chance in more suburban schools. It was a volunteer program that the Los Angeles Unified School District thought would help students become successful in other environments. When I got to ninth grade at Sequoia, the LAUSD began mandatory busing. It was a two-program that paired schools from opposite sides of the district and traded off students between the two per semester. The local news stations focused on our school as having one of the longest mandatory bus commutes in the district – to a junior high in East Los Angeles. I saw some interesting things happen. While us ninth graders were exempt from mandatory busing, we saw seventh and eighth-grade friends acquiesce to the program. Others moved away from the LAUSD – including those who would have been in the ninth grade with me. To understand why this was such a flashpoint in the place where I grew up, Los Angeles is a very vast city of over three million people. The district was one of the largest on the West Coast in terms of area covered and the number of students. In hindsight, the mandatory busing program had mixed results. Luckily, they changed their strategy of creating better educational opportunities after I graduated high school. 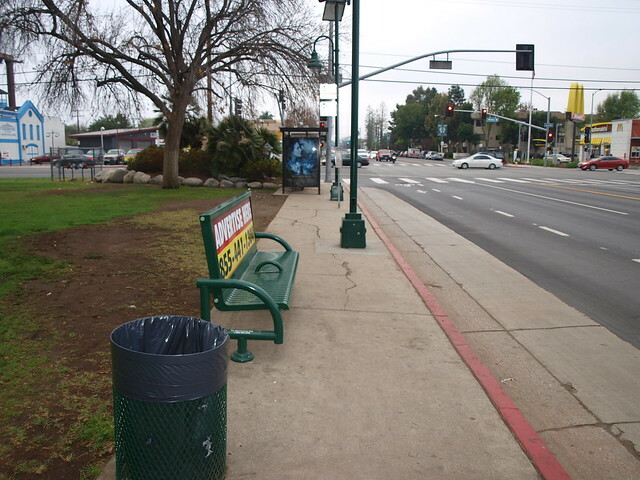 Sadly, the issue of mandatory busing brought out an ugly side in my neighbors in Reseda. That side has reared its head more frequently today thanks to our current socio-political environment. 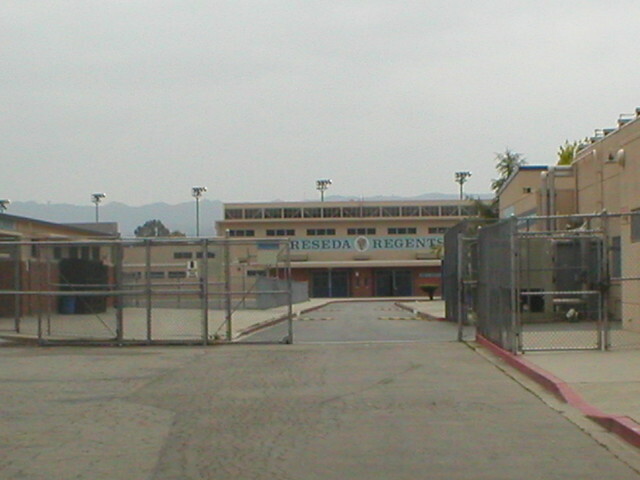 I continued to walk to school when I graduated into Reseda High. Again, I consulted Google Maps to see how my walk was – just under a mile for just 16 minutes. That is if I did the safe route by walking the streets, instead of cutting through Reseda Park. Ah, Reseda Park. Walking through there in the late 1970s and early 1980s offered its own challenges. Homelessness, drug dealing, and other hazards make walking through the park not so safe. But, why do we do it? To shorten the time to get to class and use the “back way” past the “alternative school” or whatever it was called. There were plenty of transportation options back at Reseda High. Some of us drove our cars. Some of us took the RTD – the forerunner of Los Angeles’ Metro system. Some of us were on the PWT program. The rest of us walked. In my senior year, I finally began to take my car – my mother’s former 1972 Oldsmobile Ninety-Eight Luxury Sedan. It was indeed a luxury. It should be a rite of passage for a senior in a suburban high school to drive themselves to class. To park themselves near the smoker’s wall. To put themselves in the “jock lot” where a home run can smash their windshield or put a dent larger than a hail divot. If I recall, there was not a typical car at Reseda High. My Oldsmobile was clearly not the largest thing that parked at the school, by any measure. There were a few new cars, but nothing along the lines at what was at a few of our rival high schools. In all, school should be a time when we should consider our own safety and sanity until May/June. Not just for students, but for teachers, as well! You have also grown up like I did. You are now part of the educational system that you’re fighting to improve and create new opportunities for learning. I commend you and wished you were paid more – much, much more! Back to school, you go! Don’t forget to look both ways before you cross the street!